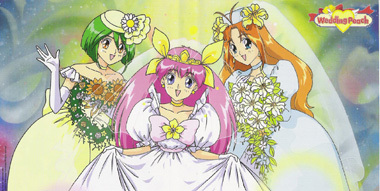 A classic from the 90's, Wedding Peach is all about Momoko and her friends being chosen by the goddess Aphrodite to become Love Angels and protect the Earth from devils and gather together the powerful Saint Something Four in order to restore balance to the Angel World. Running a solid 51 episodes long, this series is a joy to watch and will fill you with love waves! Not every magical girl show is all hearts and sparkles though as this next entry on the list proves. 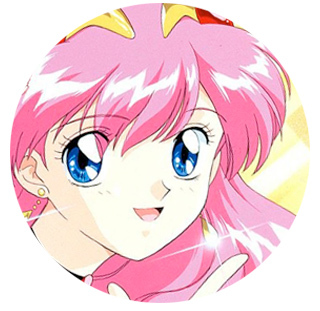 Running for 26 episodes, Princess Tutu takes place in a fantasy kingdom and is about a girl named Ahiru who is secretly a duck that has been transformed into a 13 year old girl. With her powers as Princess Tutu she must restore feelings to the prince's heart one by one and bring about a happy ending. Filled with a gorgeous classical music score and wonderful animation, this is another hidden gem that everyone can appreciate. If you thought that Princess Tutu was dark though, you're in for a real shock if you haven't already picked up Madoka Magica. Written by Gen Urobuchi, this is one of the darkest magical girl series that teaches tough lessons about friendship and sacrifice. When Kyubey offers Madoka a chance to become a magical girl in exchange for a wish, she hesitates at first and soon finds that her instincts were correct. As she learns more and more about the world of magical girls, she and her new friends find out that it's dangerous to take things at face value. 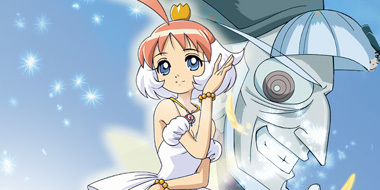 While not a magical girl series in the strictest sense, Petite Princess Yucie is another series that still fits in the genre and thus is eligible to be included. 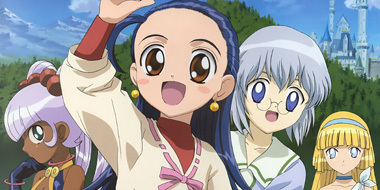 In this series, Yucie is a 17 year old girl who stopped growing at the age of 10. Soon after her birthday though she gets the chance at competing for the Eternal Tiara which is said to grant any wish that her heart desires. Seeing her chance to become a real adult and be able to thank the prince properly for saving her life as a child, Yucie and the other princesses work hard to gather together the five crystal flowers. Stark visuals and a strong message about protecting the environment make up this series which ran for thirteen episodes in 2001. 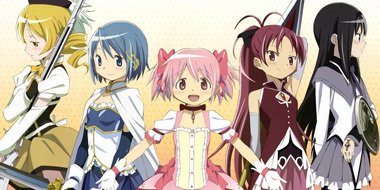 This is another series which shows that not all magical girl anime is fun and laughter. Sometimes it's a hard road for the heroine filled with tough decisions. We've talked a lot about magical girls on this list but what happens when a magical girl loses her powers and her job has to be taken over by a male zombie high schooler? That's the basis for the comedy series Is This A Zombie? 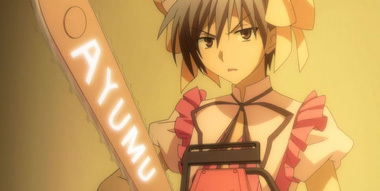 which features Ayumu becoming a magical girl after he accidentally drains a magical girl of her powers one night. Running for two seasons, this hilarious series turns the genre upside down while telling a great story and delivering the most touching disemboweling scene ever shown in an anime series. 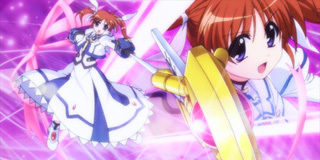 One of the most popular magical girl series of all time, no list of this nature could be counted without mentioning Magical Girl Lyrical Nanoha. Thrilling battles and high energy are just two of the traits behind this one which has captured the hearts and imaginations of fans around the world over the last few years. If you're looking for a great example of the magical girl genre, this is a very good place to start. 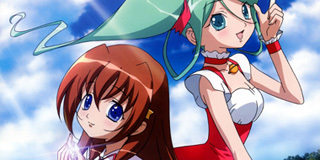 Another series which has built up a pretty solid reputation among its audience is Pretty Cure (or just Precure). 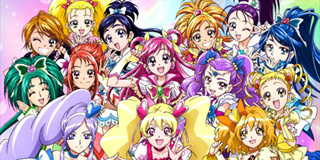 For the last decade, Precure has been dominating the magical girl landscape with both TV series and movies showing absolutely no signs of stopping at any point in the near future. Created as a short by Studio Trigger (whom you might remember from another series titled Kill la Kill), this title is one of the most charming magical girl releases ever created. Filled with heart, it tells a very sweet but compact story about a girl in a magical girl academy learning to control her powers despite being made fun of by the other students because of her reasons for joining the school in the first place. 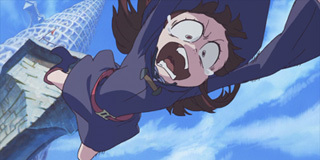 If you've never seen LWA, go out of your way to find it. You will not be disappointed. Saving the darkest for last (yes, this one is arguably darker than Madoka Magica), Utakata is another series that teaches tough lessons in taking things at face value. This series is all about 14 year old Manatsu who meets Ichika after finding an old busted mirror in an abandoned building on campus. Offered magical powers, Manatsu takes Ichika up on her offer but soon finds that being a magical girl isn't all that it's promised to be. As I said, this one could arguably be the darkest of the dark so be ready to step into shadows and watch your footing as you might not be able to find your way back again.